Joud Abdel Majeid, Managing Director, is Chief Operating Officer of BlackRock Solutions and is responsible for coordinating and overseeing the day-to-day operations of its business activities. Prior to joining Blackrock, Ms. Abdel Majeid was Senior Vice President, and Head of Strategy and Corporate Development at E*TRADE Financial. In her role, Ms. Abdel Majeid was responsible for corporate strategy development, performance management, business partnerships, M&A, and integration activities. Prior to E*TRADE, Ms. Abdel Majeid was a management consultant at Booz & Company where she advised retail and commercial financial institutions on key strategic, operational, and organizational decisions. Prior to Booz & Company, Ms. Abdel Majeid worked in real estate investment lending at Smith Rothchild Financial. She served as Director of Lending Operations where she oversaw credit analysis, underwriting and overall portfolio management. 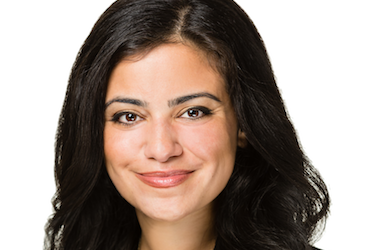 Ms. Abdel Majeid holds an MBA from the Kellogg School of Management at Northwestern University, and a Bachelor of Science in Finance and Economics from Elmhurst College.